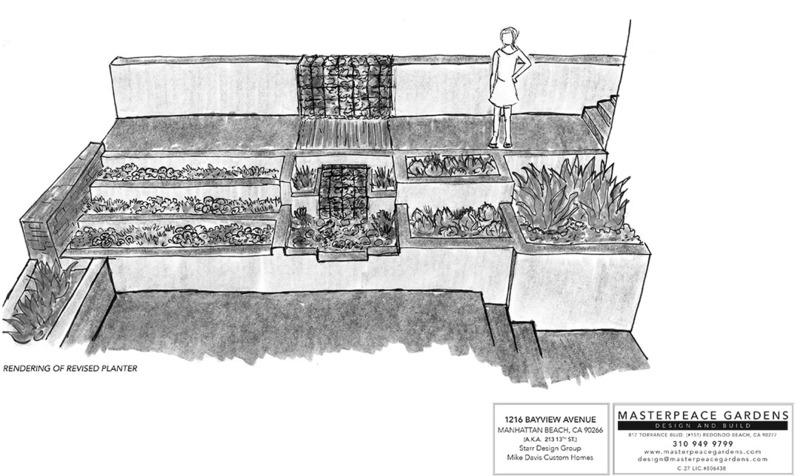 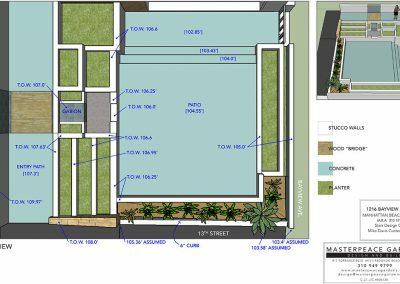 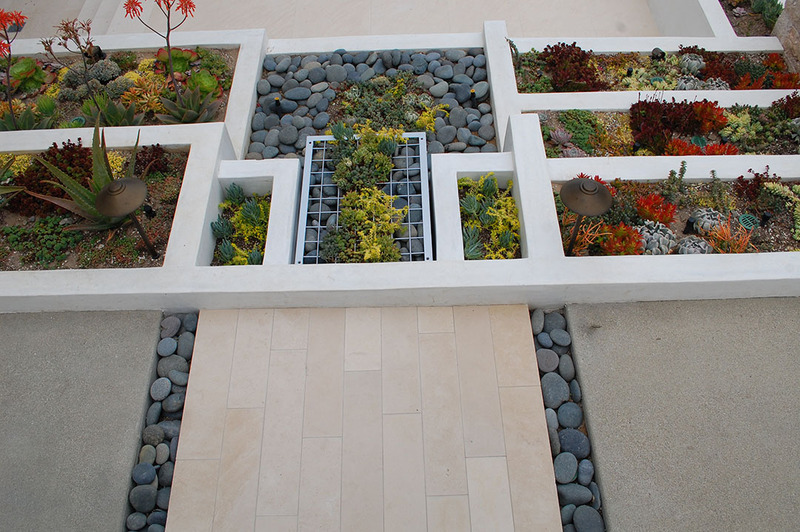 The builder wanted a water feature, so our original intent with this design was to do a cascading waterwall that swept under the walkway ad down into a waterfall feature between the planter beds. 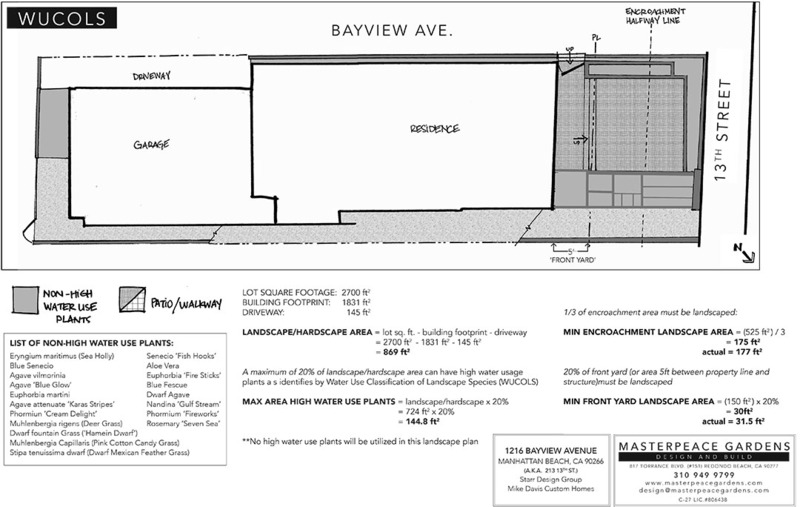 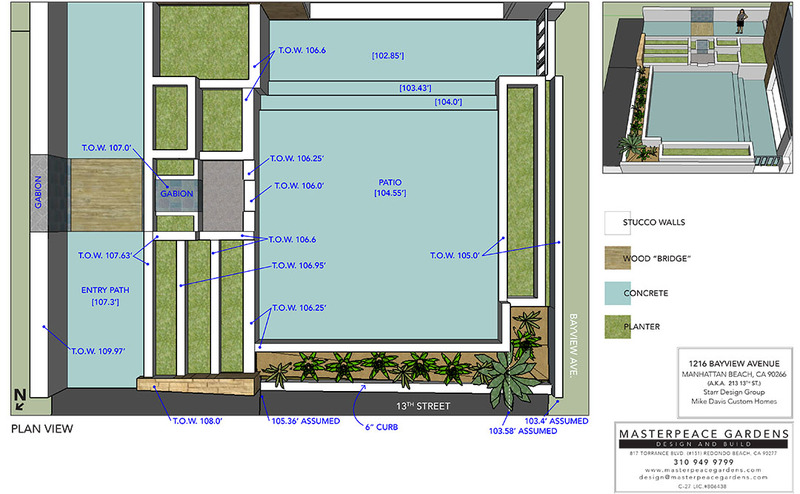 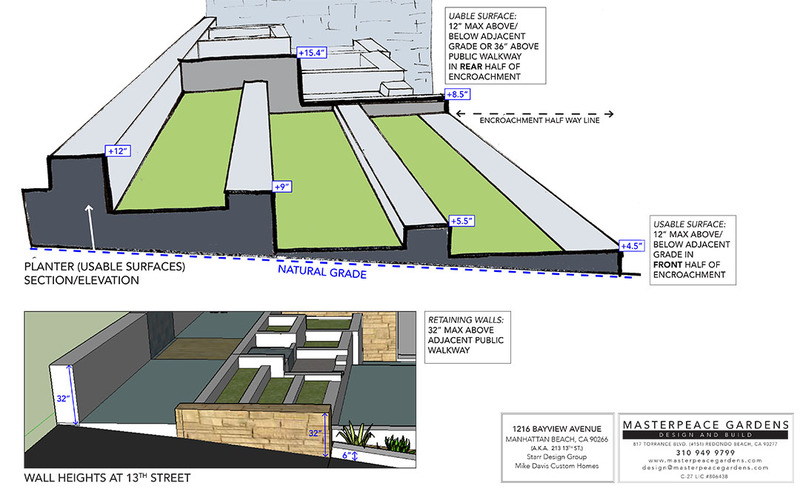 However the encroachment section of this property would not allow a water feature – as it would have fallen on public land. 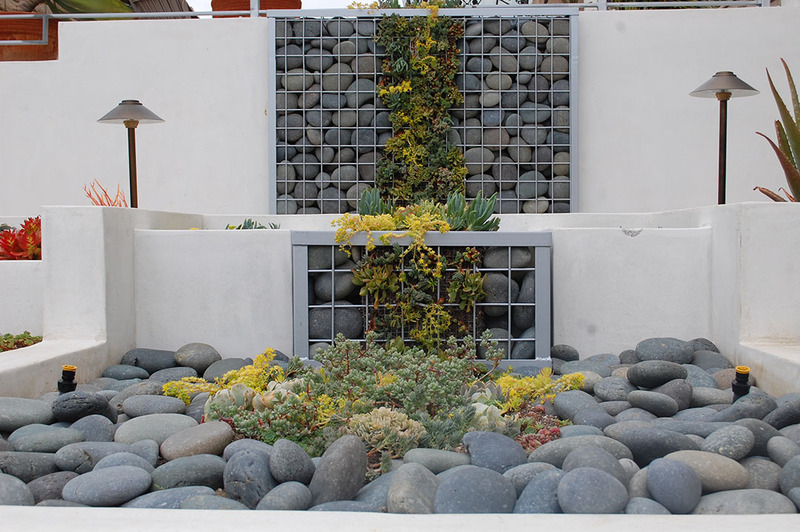 So we got creative and emulated water with a cascading plant wall that followed the flow of water. 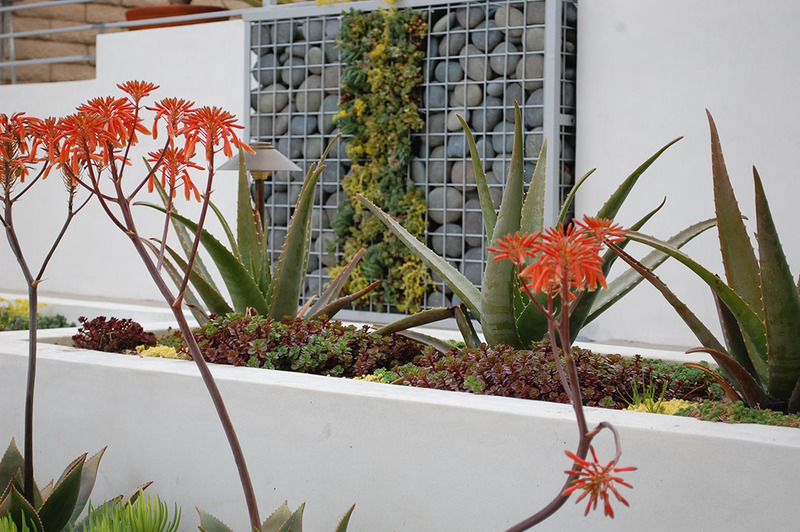 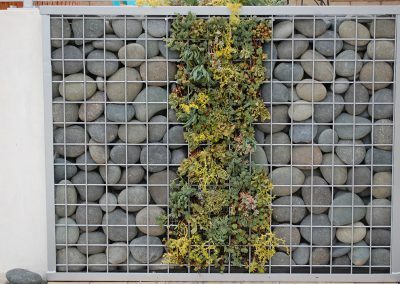 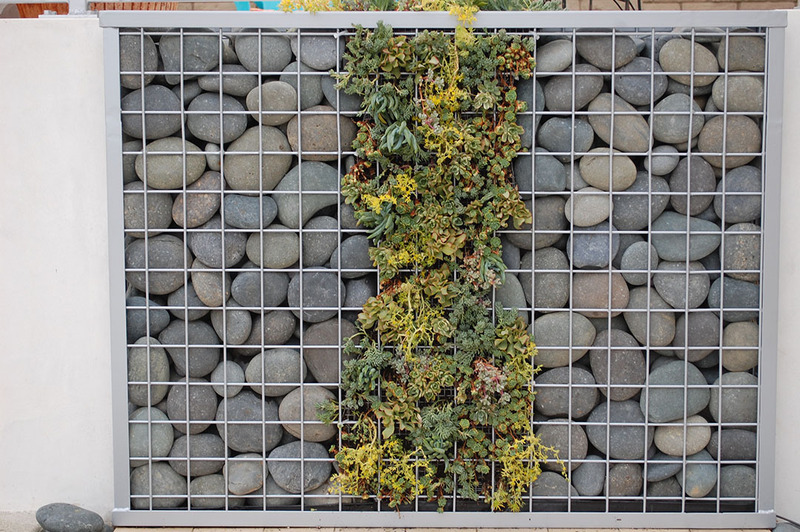 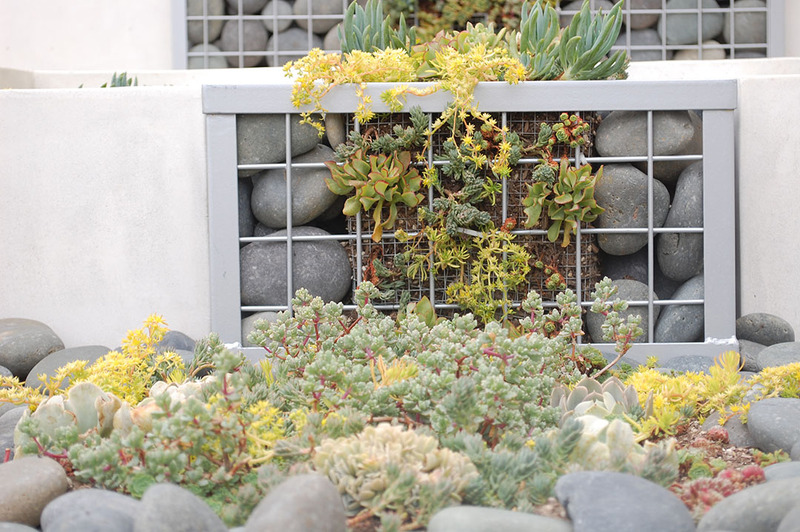 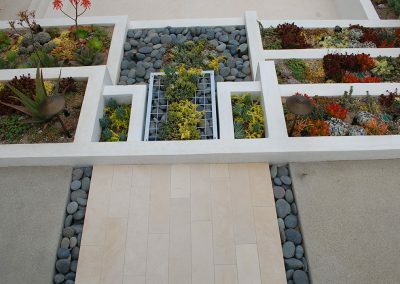 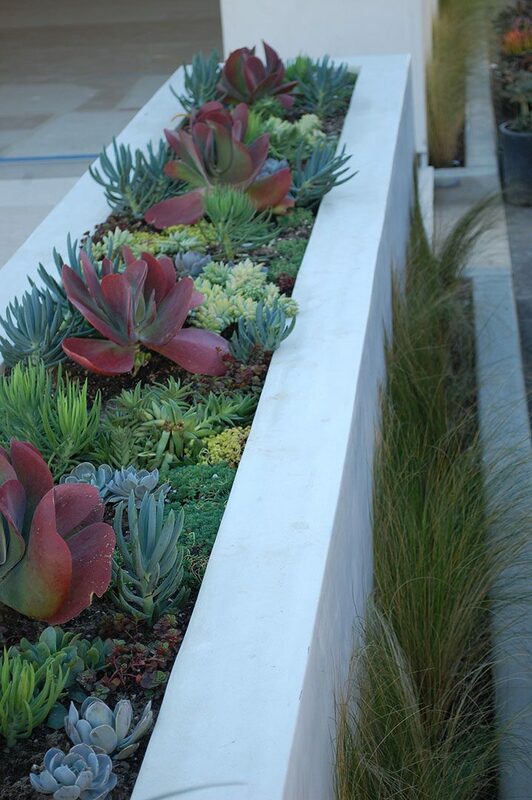 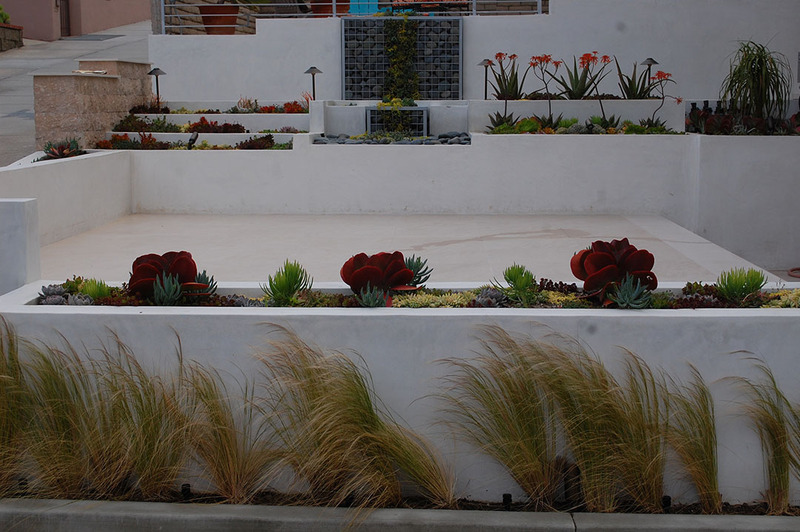 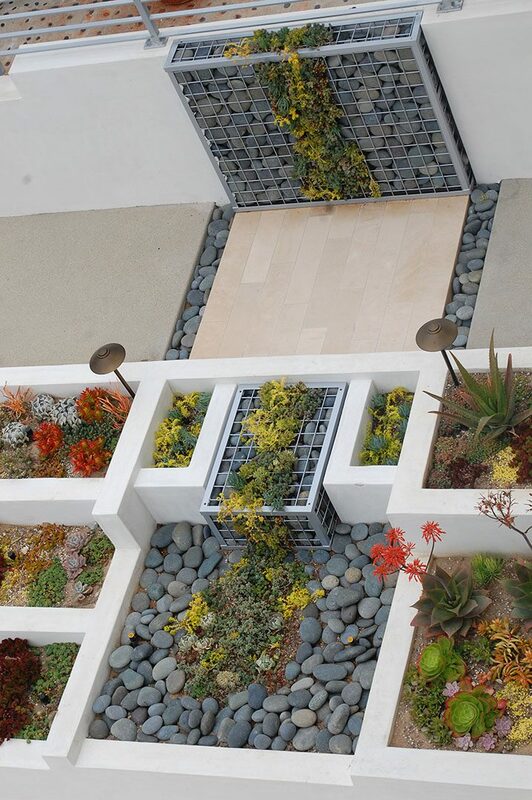 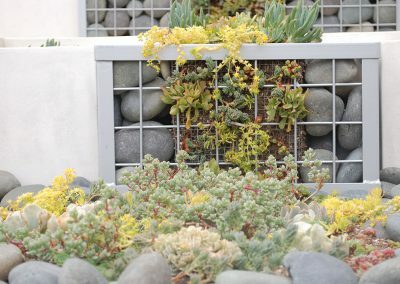 We embedded the wall with gabion mesh containers that contained mexican pebble stones, so the end result is a very drought resistant, quite lush succulant river that flows down the wall and into the planter spaces – where it pools among the stones. 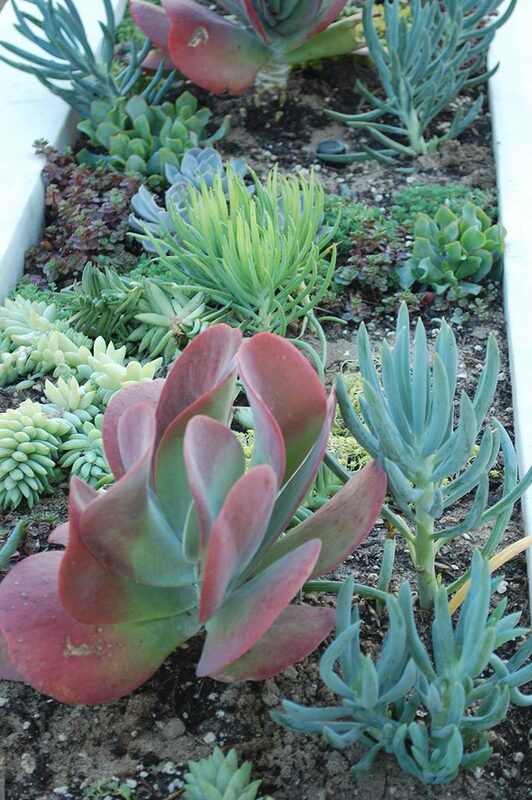 Succulants are fun! 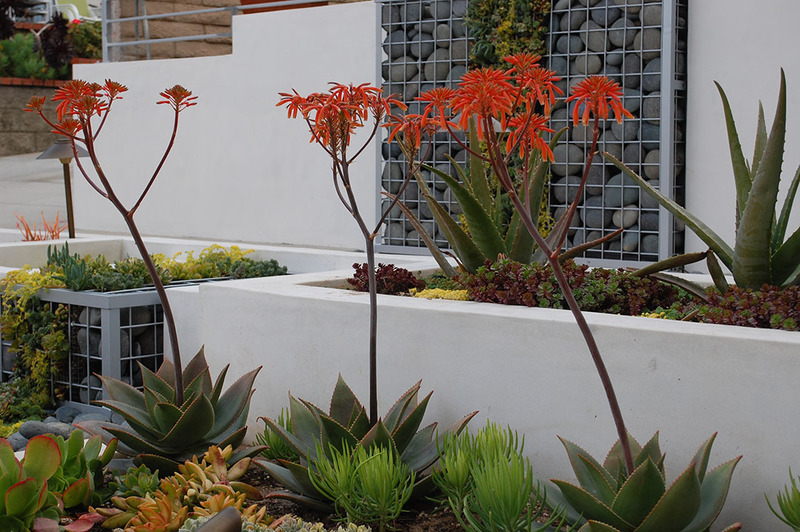 We love to create with them. 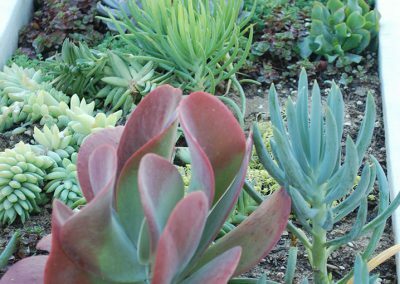 Being creative is an absolute must – but it is not the first priority – priority one in public development is understanding and playing by the rules. 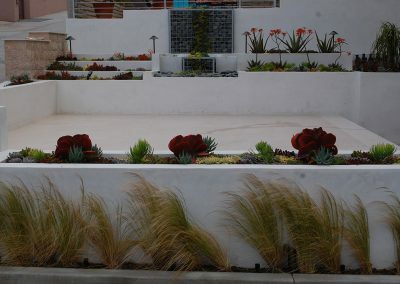 the city will allow you to do certain things, but will most certainly not allow you to do others. 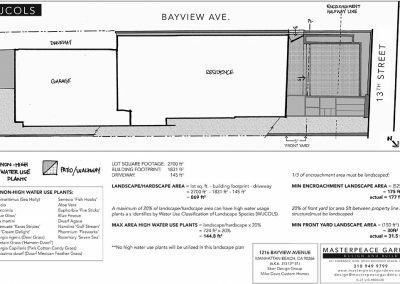 Having done multiple encroachment and walkstreets for the South Bay Beach Cities – we understand that each city has it’s own set of rules – and abiding by them is always rule # 1.